And damage dealt is pure bullshi!. This guy is pretty much a skip button to almost every stages in game. Could anyone tell me how this high-DIO actually did while playing? 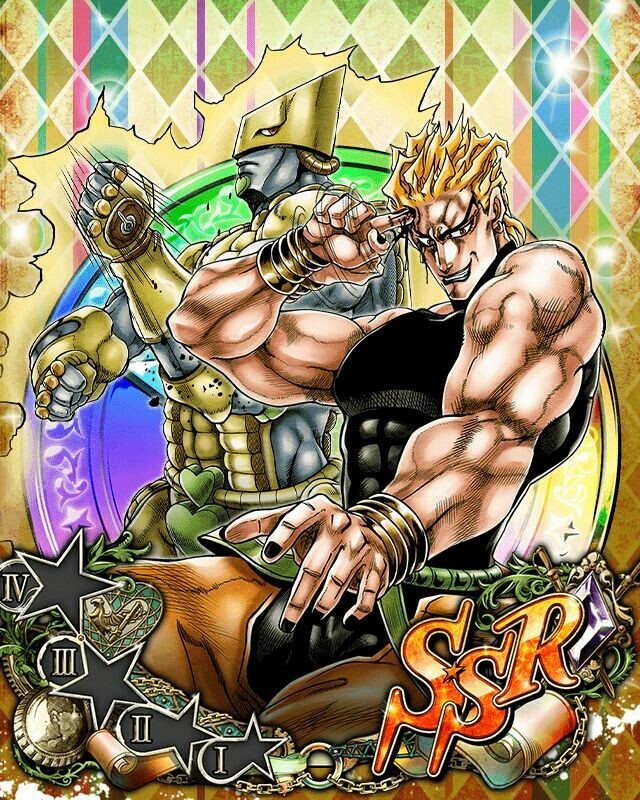 more powerful than blue-DIO ? more useful being a leader of something else?? 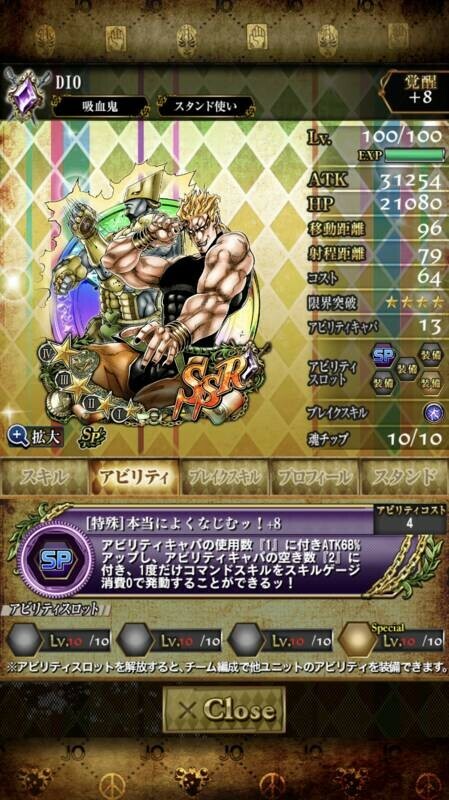 With this leader skill, No need think about being taken skill gauge depends on your number of the hit especially when Joseph or Caesar are defeated because this leader activates right after they did that. It can adapt comprehensive skill of enemies. It can overheal it self , Rohan that neutralize your atk due to the 50000% damage goes through defense.